Like any proper addict, I’ve constructed an elaborate web of neurosis to rationalize my conduct. But really, it all boils down to this: I’ve invested approximately 68 ka-billion man hours building esoteric hip-hop channels on Pandora. And I’ll part with them when they’re pried from my dead, rigor mortis-afflicted fingers. My Pandora addiction manifests itself primarily during long walks. As I ramble through alleyways and weed-strewn fields, I meditate to hypnotic beats, interrupted periodically by ads from USAA Insurance (provided by United Services Automobile Association, USAA Casualty Insurance Company, USAA General Indemnity Company, Garrison Property and Casualty Insurance Company, and USAA Texas Lloyd’s Company. Each company has sole financial responsibility for its own products). But blithering disclaimers are a mere fly in the proverbial ointment. As a marketing professional, my greatest contempt is reserved for video-centric ads placed on Pandora’s audio-centric media platform. Yes, Pandora is rife with TV spots and web videos reformatted for mobile distribution. There are even a few that have no spoken component at all, just animated elements set to music. Mind you, these TV spots are playing into the darkened void of some pocket or other. Their visual aspect is utterly closed off from my sensory experience. I’m not saying that placing TV spots on Pandora is a poor allocation of media dollars. I’m saying the money could be better spent. Say, by die-cutting hundred dollar bills with your logo and flinging them from the Empire State Building. We’re in a new age of media optimization and the ingenious marriage of content and marketing. Never in the history of electronic communication has there existed a greater opportunity to engage audiences through targeted, platform-specific ads. So here’s a new rule: Never place video-dependent content on a platform designed for listening audiences. Alrighty. So we’ve covered how not to advertise on Pandora. Now, what exactly should you do? 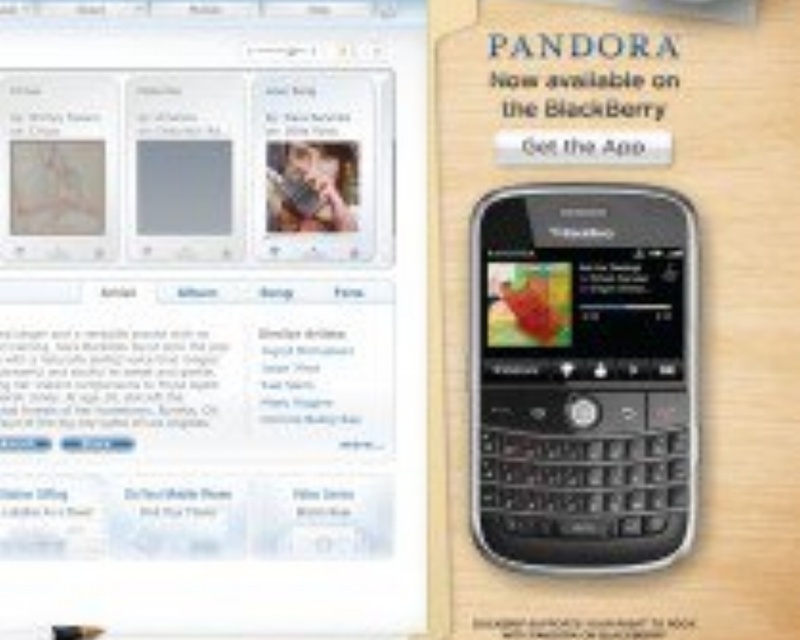 For starters, you can simply re-purpose existing radio spots for placement on Pandora’s ad platform. At the very least, radio executions are crafted solely for listening audiences. At the very best, they create theater-of-the-mind experiences and engage listeners through the imaginative faculty. But another approach, a far more ingenious approach, is to create platform-specific executions. Namely, some catchy songs of our own. Properly executed, musical ads act as a sort of uber-jingle, cramming volumes of relevant and entertaining information into an immanently memorable format. They engage listeners, exploit the platform and, if everything goes right, drive sales. An ad that’s creative, memorable AND effective? In this business, that’s music to everyone’s ears.